Cities and CULTURUNNERS invite you to a special film screening, panel discussion and book signingwith renowned Saudi Arabian artist, Ahmed Mater. Film Screening, Panel Discussion, and Book Signing. with renowned Saudi Arabian artist, Ahmed Mater. The film follows artist and medical practitioner Ahmed Mater through Mecca, the holiest city of Islam, located in western Saudi Arabia. Through a series of photographs and videos, Mater exposes the "violent changes" this sacred city has suffered in its mass expansion to accommodated the rapidly growing number of pilgrims. The city's rich history and deep-rooted culture is now being diluted with new architecture, materialism, consumerism, and a slew of new security measures that inadvertently erode the priceless cultural history that draw the crowds in the first place. 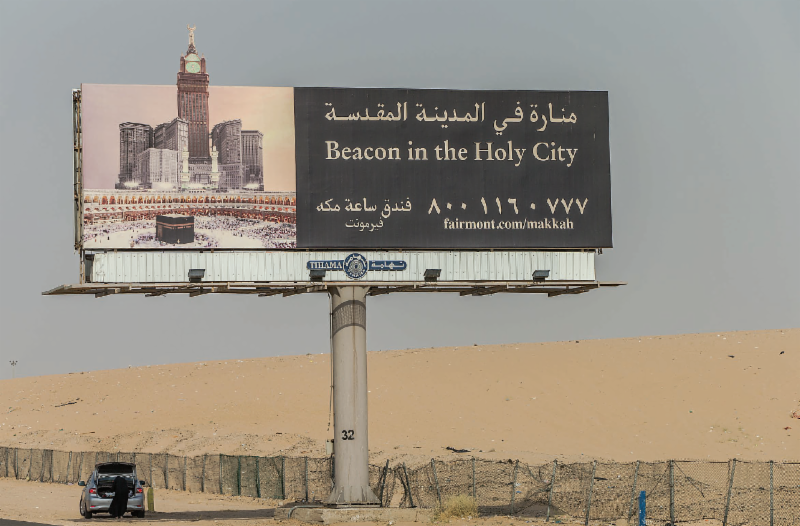 After the film, join Ahmed Mater, UMOCA's Executive Director, Kristian Anderson, and others for a discussion about his 5-year investigation of urbanism, tourism and the effects it has on Mecca, and the parallels in our own Mormon capital. 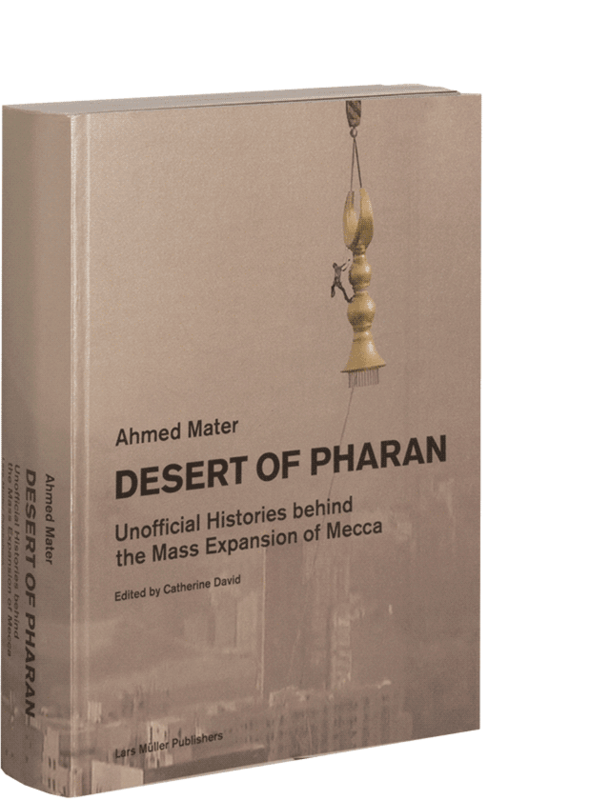 Mater will also be signing his new book Desert of Pharan - Unofficial Histories Behind the Mass Expansion of Mecca, published by Lars Müller Publishing. Ahmed Mater, born in 1979, grew up in Saudi Arabia. He trained as a medical doctor then established a groundbreaking young artist collective called Shattah, at the Al-Miftaha Arts Village in Abha; he went on to co-found the non-profit entity, Edge of Arabia. His work offers an unparalleled perspective on contemporary Saudi Arabian society and has been exhibited in numerous international institutions and forms part of public and private art collections. Now based in Pharan Studio in Jeddah, Mater has focused primarily on photography and video since 2010. The Utah Museum of Contemporary Art has been an award-winning aesthetic force and community leader since it was established in 1931. Located in the heart of downtown Salt Lake City, UMOCA encourages exploration into what it means to exist in today's world through art that inspires imagination, stimulates thought, and transforms society. The Museum connects people around the contemporary art practice of Utah and beyond to shape an engaged and thoughtful global citizenry. UMOCA strives to be a place where all points of view, experiences, and ages feel welcome to explore the pressing issues of our time through socially relevant art exhibitions and programming. UMOCA is a five-time recipient of funding from the Andy Warhol Foundation and is a 2015, and now 2016, recipient of the National Endowment for the Arts' Art Works grant award. UMOCA is a 501c3 institution that is supported by public, foundation, and corporate gifts. Your contribution in any amount is greatly appreciated, and admission is a suggested $5 donation.